Varna is the third Bulgarian city in terms of its size and population. It is also my hometown. for being the birthplace of the world’s first ever international ballet competition which is still going strong. Each year the city attracts thousands of tourists to its resorts, thousands of students to its Universities and thousands of workers from all over the country eager to find employment at least during the strong summer season. the bankruptcy in 1997 of several local banking pyramid schemes causing thousands of Varna’s citizens to lose their life savings and property. 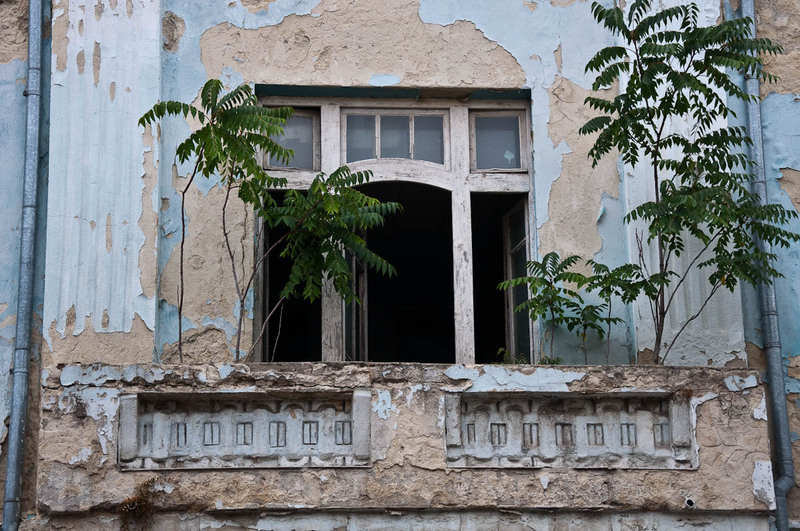 All this affected Varna profoundly and combined with failings at local governance level led to the city rapidly losing its neat and beautiful appearance. For many years, every time that I visited my hometown my heart bled for the rapid decay which took over its centre and its many boroughs stuffed with high-rise panel blocks of flats. People, it would seem, had lost the will to fight and graffiti covered the peeling walls whilst rubbish lay strewn around on the uneven broken pavements. Come spring and summer, it wasn’t that bad. The tourist influx and the sunny weather managed to breathe some energy into the city, but it only too quickly dissipated in winter when the cold sea breeze mercilessly whipped Varna. Thankfully, in the past few years or so the city seems to have found its strength again and step by step started to aspire to reclaim its former crown of Bulgaria’s Sea Capital and Black Sea’s Pearl. The city centre underwent several modifications and renovations. Fountains were installed here and there. New playgrounds were built all over the the city and Varna was even chosen to become European Youth Capital for 2017. At the backdrop of all these changes and modernisations, unfortunately, something still makes my heart bleed every time that I return to Varna. The city’s large emblematic houses and buildings erected over 100 years ago and dotted all over its centre are mostly in a state of decay. Pretty advanced in some cases. Their proud facades are peeling off. Their sumptuous ornamentation is suffering under the unrelentless summer sun and strong winter winds. Windows have been boarded up. Large chunks of the mortar are missing. 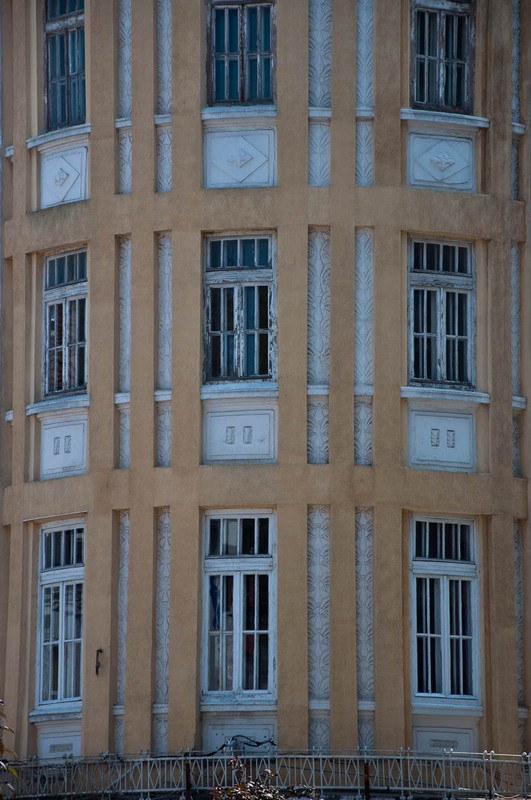 Balconies have caved in and safety nets have been stretched underneath them to catch the falling pieces. Small trees and bushes grow on the rooftops. 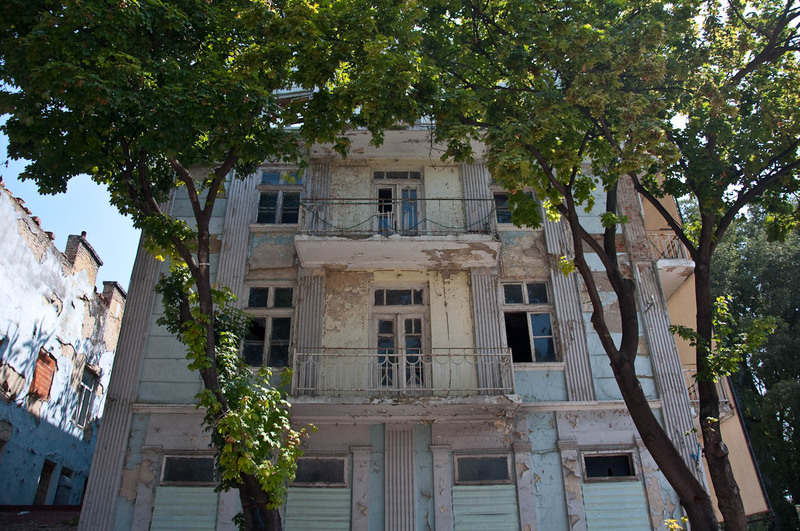 The death of some of these old historical houses and buildings seems an irreversible fact. 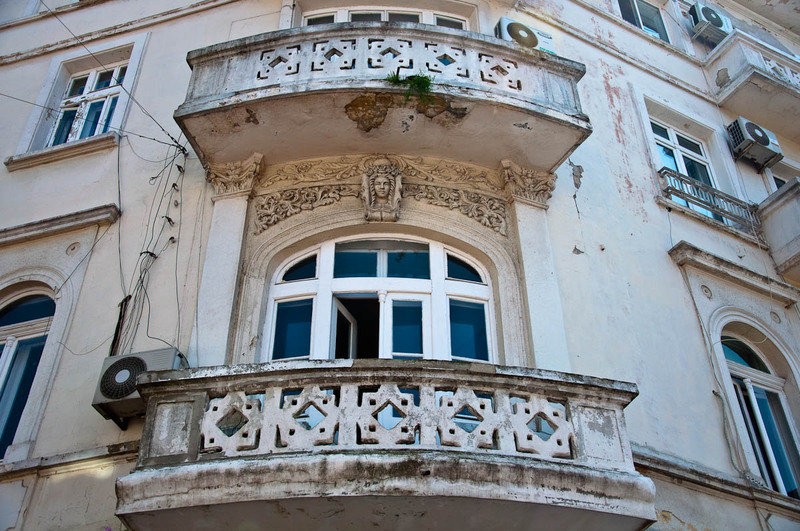 Knowing that they were designed by renowned architects who at the start of the 20th century strove to turn Varna into a modern European city makes their loss seem even more daunting. 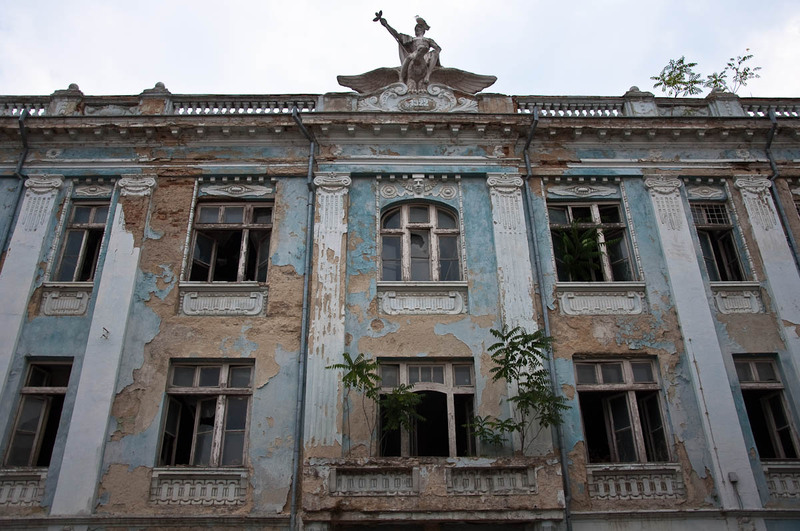 It is like the heritage of a whole city is slowly dissipating, thrown away by careless hands. I remember going to the building above with my mother many years ago. If the memory serves me right, at the time it housed the State Building Society. Nowadays, it is completely abandoned. Looking through the devoid of glass windows on the ground floor you can see that piles of rubbish and rubble have taken hold of its once big and airy rooms. Dirty mattresses can also be spotted between the ruins, making you think of people with nowhere to go who risk their lives by sleeping there. The passers-by are also at some risk. Even though the decaying facade is in such a bad state that it is easy to imagine chunks falling off it, the building was not cordoned off or isolated in some other way the last time that I saw it in August of this summer. People could still walk on the pavement running right past it. There are several other completely abandoned houses and buildings like this one. 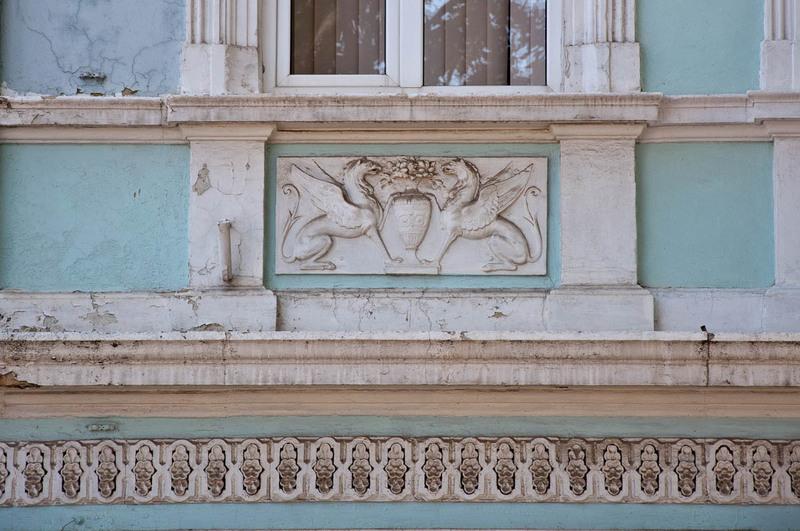 All in the heart of Varna, on its most central streets and boulevards. Some are completely covered by safety nets, others have been left to their own devices. And yet there are others, in less advanced states of decay, still populated by families. Obviously, I can only speculate why. Perhaps their inhabitants don’t have the means to repair their abodes. Perhaps they don’t have anywhere else to go. Most of these houses and buildings were built at the start of the 20th century. 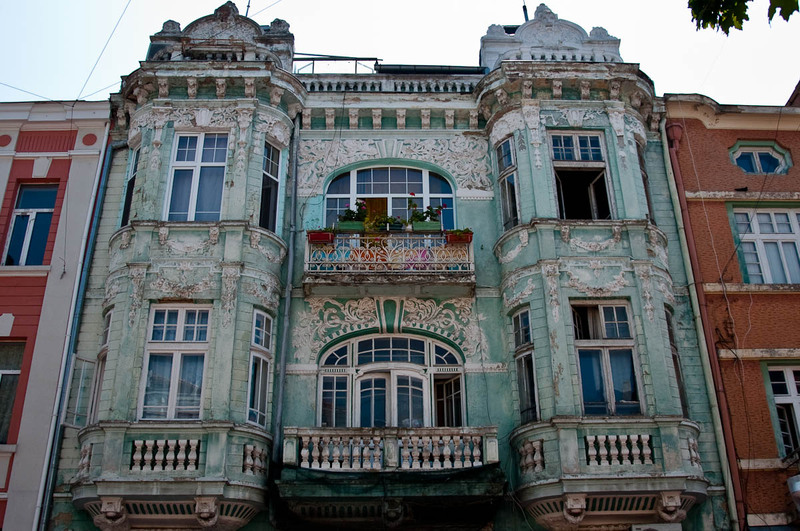 At the time, the city of Varna was going through a stage of rapid progress. Rich local merchants were sending their offspring to the best European Universities and building large family homes and business offices in Varna. It was all put an end to in September 1944. A Soviet Union-supported coup d’état led to the overthrowing of the government of the Kingdom of Bulgaria. A government of the Fatherland Front took over and one of the major changes that followed was the nationalisation of all private property and businesses. 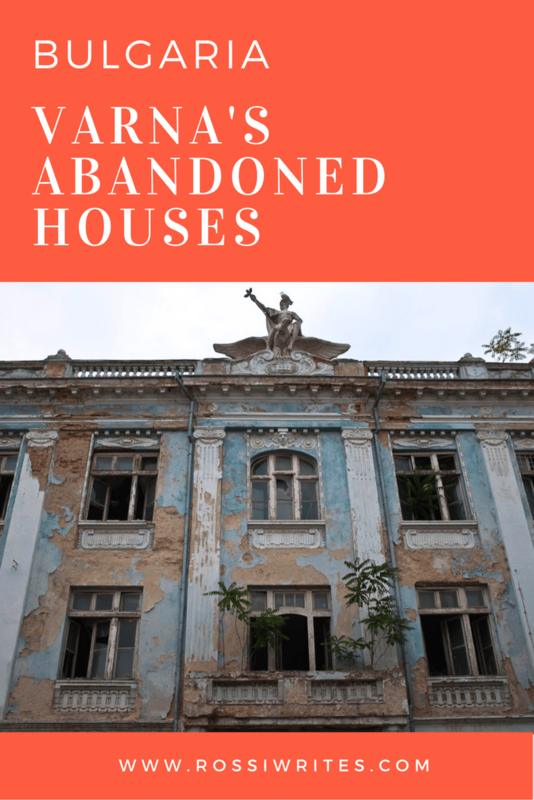 Varna’s large bourgeois homes were taken away from the families that had built them. They were given instead to high-ranking members of the Communist party. The houses were only returned to their rightful owners after the Fall of the Berlin Wall when a restitution process took place in the country. It was not all plain sailing and often occupiers wouldn’t want to leave the houses which they had come to regard as rightfully theirs. And then, maintaining one such building, no matter how beautiful and historically relevant it is, is a time- and money-consuming business. No wonder then that many of the old houses got neglected. Others were simply demolished to open up space for new developments. 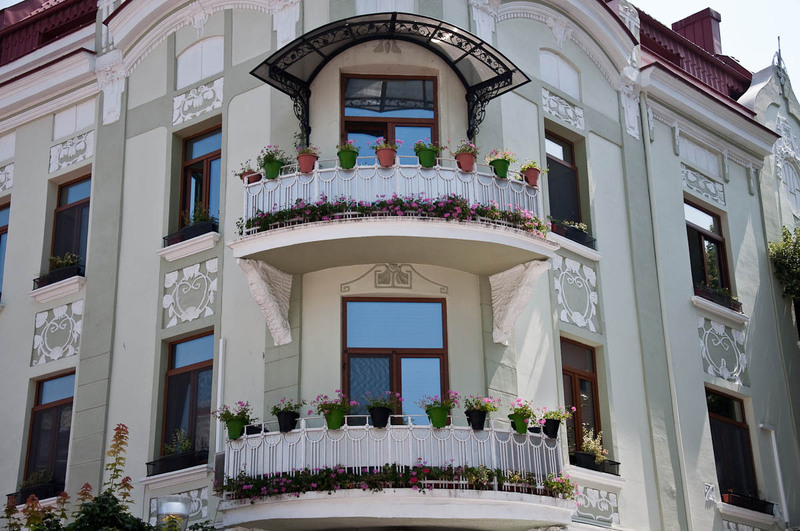 I remember at one point, perhaps twenty or so years ago, there was a fund called ‘Beautiful Bulgaria’ and resources were put aside from it to renovate the facades of the historical houses and buildings in Varna. They were freshened up, painted in bright tones and looked nice for a while. But that was it more or less, as far as I recall it. 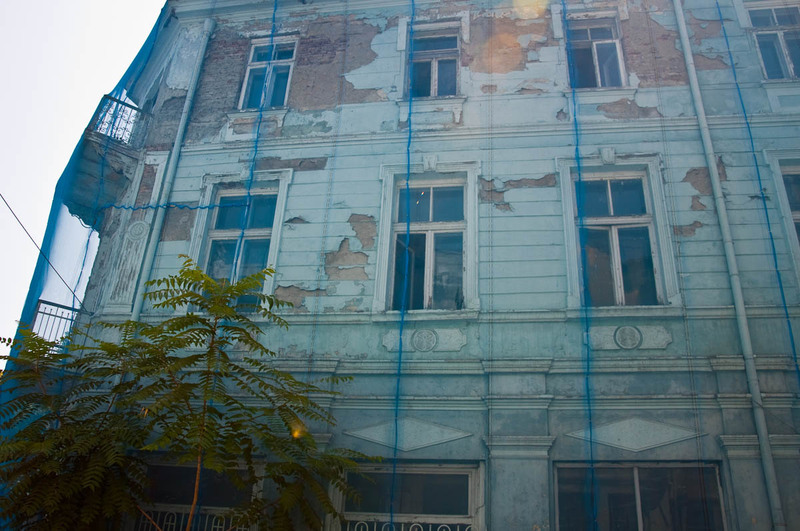 Nowadays many of these houses and buildings are slowly falling apart. And it is such a shame, such a pain to see it happening. 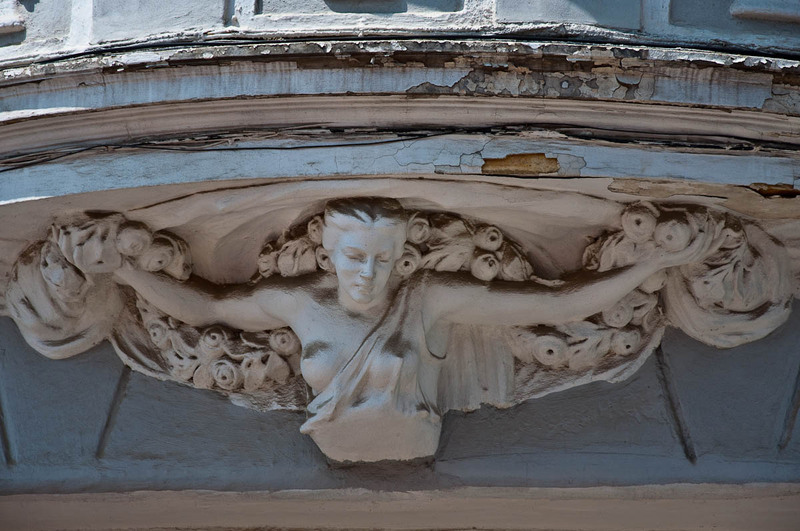 Especially as they can look so elegant and so refined if an effort is made to restore them. 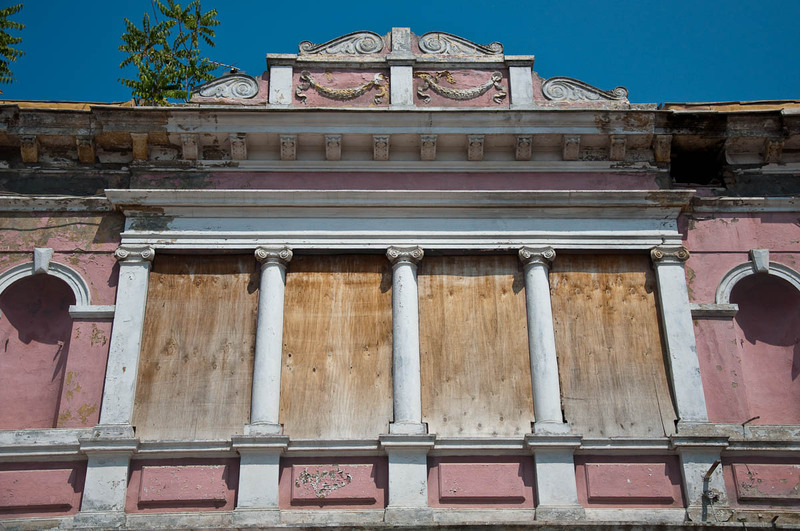 You can see it in the facades of some of these large historical houses and buildings whose owners have had the resources, the time and the foresight to spruce them up and to bring them back to their former glory. Unfortunately, in most cases the heritage of the city seems to be disappearing only too quickly. I don’t have a positive spin to put on here in order to finish on a high hopeful note this piece. I don’t know what the future holds for most of these houses and buildings, but judging by the state of the Building Society’s former premises above, it seems, it would be extremely difficult to make them livable and usable again. Perhaps, I just need to accept that life is moving on and shedding the past behind. It is just painful to witness it happening. 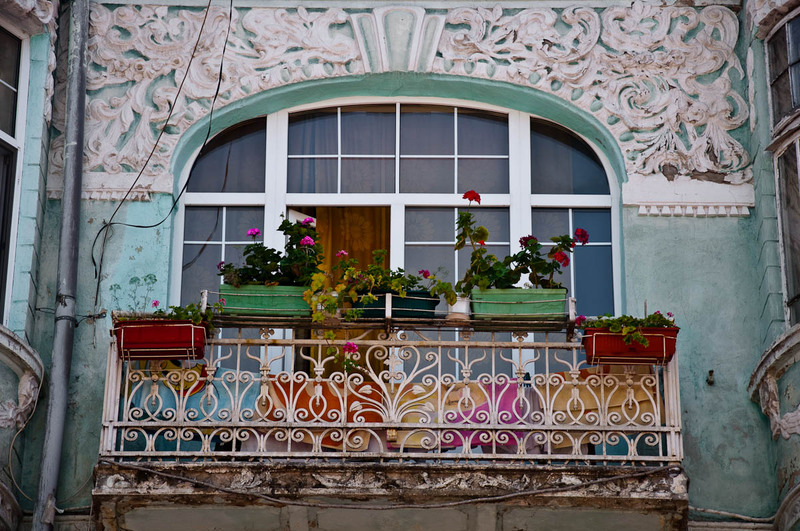 Have you been to Varna before? 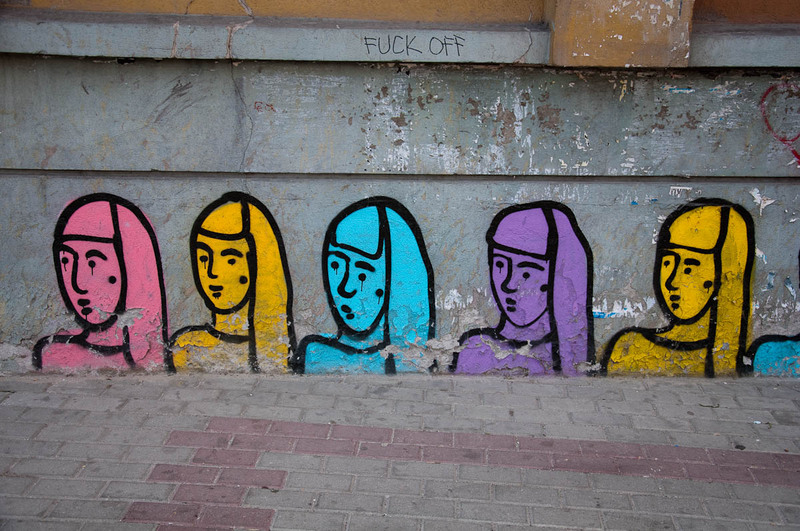 Or do you live in Varna? How do you think the problem with its abandoned (both morally and physically) houses can be solved? Share with me your ideas in the ‘Comments’ section below. I would love to read them and engage with you. Do They Know It’s Not Christmas Yet?